The acropolis of Geraki is situated in the western foothills of Mount Parnon, ca. 25 km from Sparta and 20 km from the coast. The Netherlands Institute at Athens will hold its Annual Open Meeting on Thursday, April 11, 2019 at 7 p.m., at the Netherlands Institute at Athens. Dr. Winfred van de Put, Director, will present “The Activities of the Netherlands Institute in 2018”. Dr. A. (Mieke) Prent, VU University Amsterdam, will adress the topic “Beyond the Sea: the Final Neolithic and Early Helladic Strongholds at Geraki (Laconia)”. The acropolis of Geraki is situated in the western foothills of Mount Parnon, ca. 25 km from Sparta and 20 km from the coast. Twenty-five years of archaeological research, under the aegis of the NIA, have proven a long, albeit intermittent, history of occupation. The Final Neolithic, Early and Middle Helladic periods are clearly represented at the site, as are the Protogeometric through Hellenistic, the Late Roman/Early Byzantine and, lastly the Greek Civil War. This lecture will focus on the earliest phases of habitation, i.e. the Final Neolithic and Early Helladic periods, when the summit of the acropolis was encircled by impressive defensive walls. 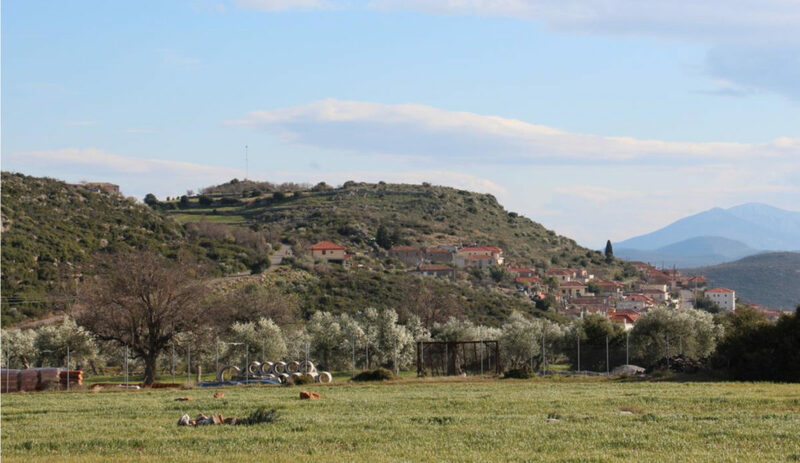 This makes Geraki the only known fortified FN site in Laconia (and the Peloponnese) and one of a restricted group from the EH period. The results of the excavation will be summarized and an attempt will be made to assess the remarkable occurrence of these fortifications within the wider context of Laconia. Early fortified sites, particularly of the Early Bronze Age, have often been considered to be a largely coastal phenomenon, the product of increasing maritime interaction and social competition within the Aegean. Recent excavations and topographical research in Laconia, however, suggest a more complex picture in that region. It may be time to turn our attention inland.